Law Library GRA positions are open to all GSU law students who have completed their first two semesters of classes. Part-time students are eligible. Students applying for Summer positions must be enrolled in at least 4 hours of Summer classes. Students may apply for both types of GRA position, but cannot be hired for both positions at the same time. Applications are due at 5 p.m. Wednesday, April 10, 2019. Reference GRA applicants – Email one document which includes a 1) cover letter, 2) current resume, and 3) completed availability form (available in the link above) to Patrick Parsons (pparsons@gsu.edu). Include your last name in the file name. Research GRA applicants – Please complete the application process through Symplicity. We work so hard at law school. The last thing we want to do is come in on a day when we don’t have class, right? For a mandatory Bar Prep? Ugh….. But what a presentation. For those of you not in the know yet, the school had a mandatory MBE boot camp for students graduating in May. It was actually a great experience. The speaker was high energy and gave us lots of clues that we may not get in whatever prep course we take. Over the next few months, we’ll also have MPT and Essay practice. And we won’t pay an extra penny for it. It seems that GSU doesn’t have that amazing pass rate just because we are the most amazing law students ever. The COL is investing in our future! They are giving us extra tools to help us be successful. Yes, we’ve paid tuition, but I haven’t heard about those big expensive schools going out of their way to try to ensure that students pass. Have you? Oh, and what do their pass rates tell you? If the bar exam is still a few years away, you can rest easy knowing that the COL has a vested interest in you passing and will help you do it. If you are graduating in May, things probably got very real for you at the bootcamp. If you’re like most of us, you’ve stopped grumbling about mandatory boot camp, are a little more comfortable about getting started on studying soon, and have a healthy respect for the subtle difference in multiple choice answers that can be the difference between you passing and trying again. If you haven’t purchased a prep program, talk to your friends, talk to reps around the school, talk to the Deans and your professors. It seems like we work so hard in class that we’ve forgotten that it will eventually all come down to this: THE BAR EXAM! Thank you COL for helping to get us ready! Whether you just survived your first semester, are beginning your last, or are somewhere in between, YOU ARE BUSY. And no one but other law students or lawyers really gets it. So how do you make time to do everything you need to do, some of the things you want to do, and the things your family and friends expect of you? You could stretch yourself so thin that you snap. You could stop sleeping or eating to gain extra time. You could let the exercise go. Or, you can keep reading (if you have the time) and learn some tricks for using your time wisely while in law school. 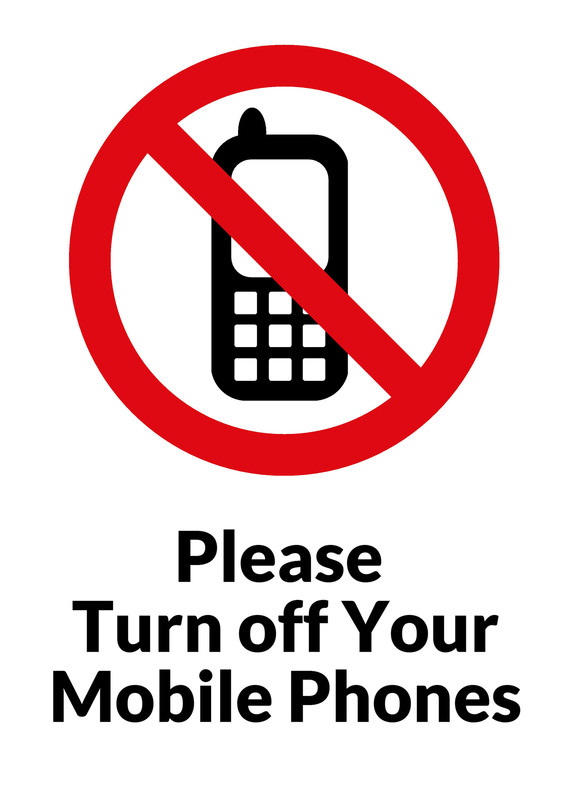 Photo of no cell phone sign. Available at https://www.publicdomainpictures.net/en/view-image.php?image=23072&picture=please-turn-off-your-mobile-phones , CC0 public domain image. There is no way to add hours to your day, so we need to learn how to use the time we have more effectively. The ideas below are geared toward the time that we are in school, but good habits will hopefully spill over into our lives after school and will be helpful as our responsibilities change. Your future may include working in big law and billing lots of hours for several years, getting married and having children, opening your own firm, you just never know. Learning how to manage your time effectively now will help with all those things that are coming more quickly than you think! Get more and better sleep. It seems counterintuitive when you are trying to save time, but getting more and better quality sleep will actually save you time in the long run. When you are well rested, you have more energy, your mind is clearer (for studying), and your body is healthier, so you don’t risk getting sick when finals roll around. throughout the day is a win. Mix your studying and social time. Really. Study with your friends. Have a glass of wine or a beer. Work through hypos in a more relaxed and social scene. You can’t study drunk, but you’ll actually learn more by talking through hypos with friends than by rereading a case book. Yes, you’ve got to practice writing, but the most important part of learning is really “getting” it. That is done by talking it through and practicing applying the law. Who better to do that with than the people at school that you like the most. Give family and non-law friends 100% of your attention. This is tough. You’ve got so much on your mind, you really don’t have time to hang out, and now you’re being told to give 100% of your attention? It can be done. In fact, one of the reasons they are frustrated is that when you are with them, you aren’t “with” them. So, you can actually get away with less time as long as the time you give is quality time. Instead of spending all of Saturday with mom and having to blow off other friends on Sunday, go for a run with friends in the morning and take mom to lunch. But don’t think about law school at all. You need the break and so do they! If you are working…. This is a little harder, but worth a try. If you are a student that is working and going to law school, try to work in the legal field. First, your colleagues will understand the struggle better than non-law colleagues and they’ll cut you some slack. Second, you’ll be learning more about the law while you are at work, and you’ll be learning a lot of the things you don’t learn in law school. You’ll also be networking to some extent and may work yourself right into a post-lawschool job which will save you a lot of interviewing time. Turn off your phone. Not all the time, but for at least an hour of reading/studying time. It is so easy, especially when you have a boring class and/or terrible reading, to keep peeking at your phone or listening for that little buzz that lets you set the book down and check out something more interesting. Just shut it down! Give yourself an hour and power through all of that reading instead of dragging it out and never finishing it all. Plan. Set a plan for yourself. This doesn’t mean that you have to make an hourly calendar of what you are going to do, but it does mean taking 5 now to look ahead. If you’ve read your syllabus and you know that you’re going to have a project due in the end of February, right about the same time that your best friend has her annual birthday party that leaves you in bed for three days after, start working on it as soon as possible. Outline as you go instead of waiting until the end of the semester, set monthly goals for that big paper so that you can turn it in before it is due instead of cranking it out at the end. Reflect. At least for a few minutes, each day, week, or month. Look at what has been working for you, and what hasn’t, and change it. .
Have any other ideas for saving time? Share them with your friends! You might think this post is about welcoming students back for the semester! Ha! In fact, it is time to welcome our state legislators back to session! The Georgia General Assembly convened Monday, January 14, at 10 AM, and our representatives in the State Senate and House of Representatives are already hard at work. If you visit the Georgia General Assembly site, you will find access to all the goings-on. If you want to review any of the 19 pre-filed (filed prior to the kickoff of the legislative session) bills in the house, go right ahead. Subject matter of prefiled bills ranges from tampon education and taxes to exempting retirement benefits from military service from income tax to repealing the 18th Amendment regarding prohibition from the Constitution of the United States. Of course, there is plenty of other information to be found on the site as well. It is possible to follow the committee meeting schedules, and live stream the Senate chamber and the House of Representatives chamber. If you are curious about what has happened in prior sessions, not only can you read a bit about the history of the General Assembly, which started operation in 1777 and has followed its schedule since then. It has met in all of the locations for the state capital, Savannah, Augusta, Louisville, Milledgeville, and Atlanta. You can also search for prior proposed and enacted legislation from earlier legislative sessions. Alexander Hamilton is a trending founding father–joining the ranks of George Washington, John Adams, and James Madison. Today is the day to celebrate the fruits of founding fathers. It’s Constitution Day! The United States celebrates Constitution Day and Citizenship Day on September 17. See 36 U.S.C. 106. The observance is to “commemorate the formation and signing on September 17, 1787, of the Constitution.” 36 U.S.C. 106(b). Prior to the official celebration, Constitution Day, Inc., promoted the commemoration. Not only can you use your legal research tools to locate the law–either the codified statute or the Public Law–that contains the observance and information about its subsequent amendments, but you can also find cases that mention Constitution Day. One of my favorite resources for researching the constitution is provided by the U.S. Government Publishing Office: The Constitution of the United States of America: Analysis and Interpretation. A comprehensive treatise–covering the Constitution from start to finish–includes references to almost 6000 cases. If you are researching a constitutional issue and are looking for a great starting place, this is a very helpful research tool. 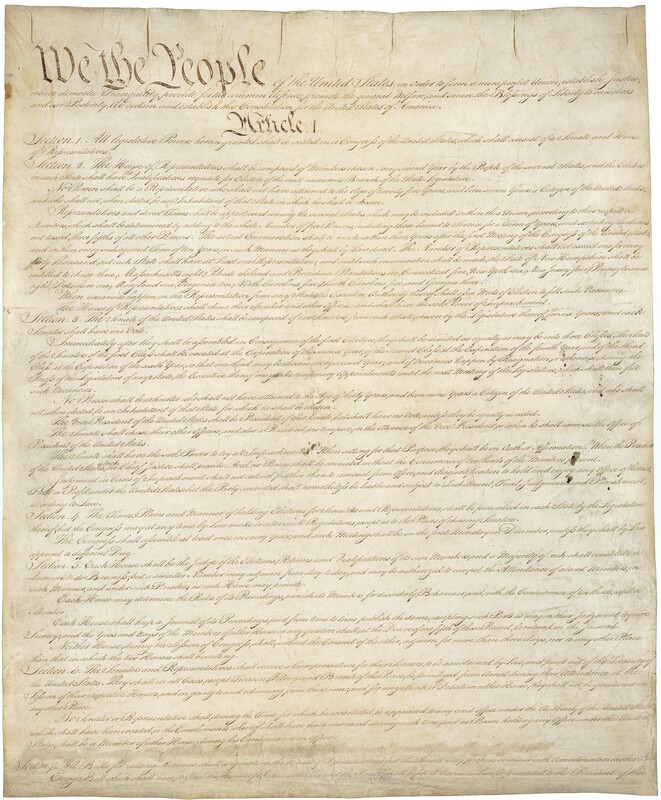 Of course, the U.S. National Archives and Records Administration (NARA) also provides excellent information about the founding documents–the Declaration of Independence, the U.S. Constitution, and the Bill of Rights, which are available for viewing in the Rotunda at the National Archives Museum. new professors. But now, after the first few weeks, you suddenly find yourself sliding back in to the drudgery of being in school and the stress that comes with it. If you need a few minutes (or even longer) to decompress, why not stop by the library and put your mind on something that’s not law school related? As you can see, the summer farm scene puzzle is completed, but there’s a new one waiting! Cue the annual welcome back blog post! It’s everyone’s favorite time of year. A summer of work, summer classes, internships, externships, pre-lawschool anxiety is now over. We’re back! Fall classes started yesterday and everyone seems to be getting into the swing of things already. For those of you who are law school returners, you seem to have picked up where you left off checking out study rooms, being quiet on the 6th floor, and looking generally happy to be in our beautiful building. For you new students, so far so good! However, the pursuit of knowledge is neverending. So, just in case you forgot, or you didn’t know, or you are choosing to forget, I wanted to highlight a few things in the library. Standing desks – We have them! One is on the 5th floor and three are on 6. Beyond these highlights, we’re just glad to have you all back. It was getting awfully quiet without you.